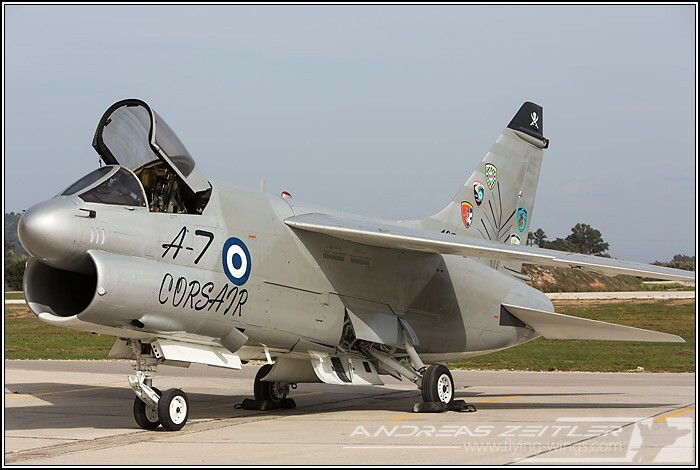 With the retirement of the LTV A-7 Corsair II the sky has lost once again another charismatic jetfighter from the 1960s/70s era. 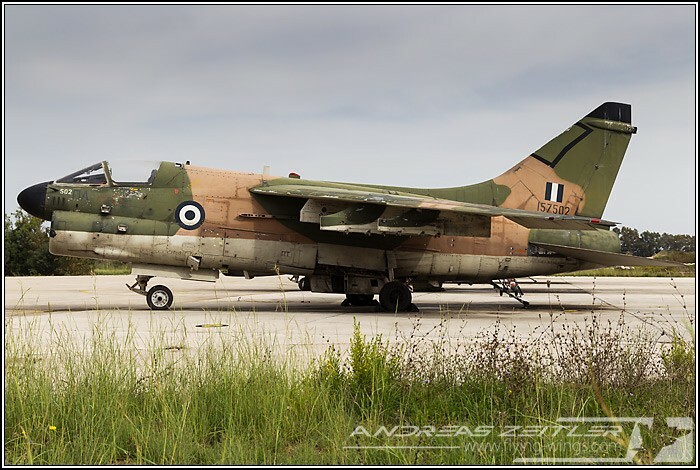 The last Air Force to operate this subsonic light attack aircraft has been the Hellenic Air Force (HAF), and it put an official end to A-7 Corsair II operations with a ceremony on October 17th, 2014. 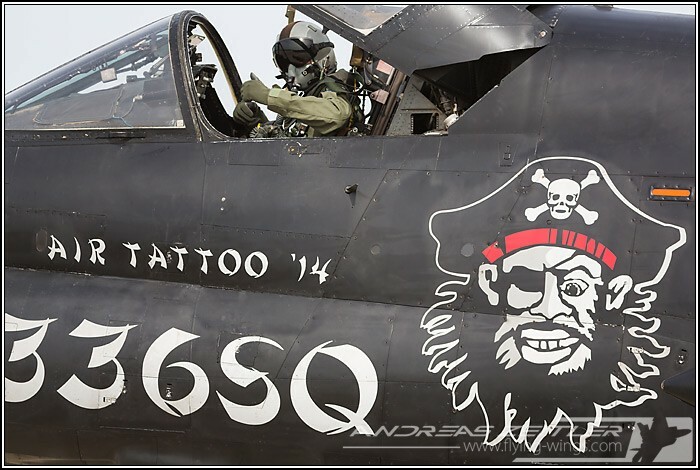 A-7 Corsairs were in service with the HAF for 39 years and accumulated around 440.000 flying hours. 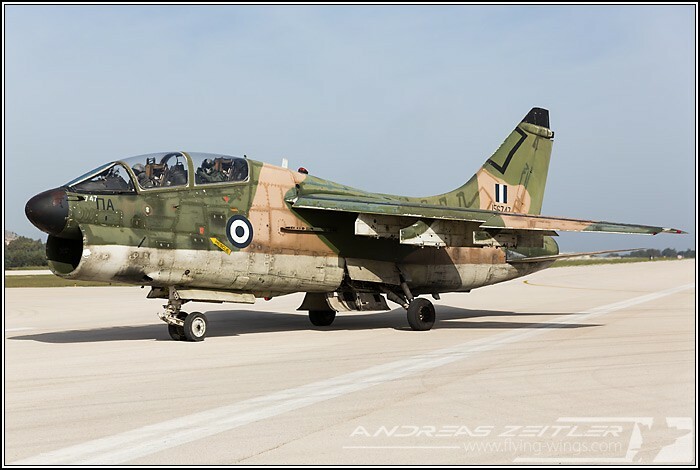 The first type to join the fleet was the A-7H (H for Hellenic, a modified version for Greece without the air-refueling capability) in 1975, which also made the HAF the first export customer for this aircraft. 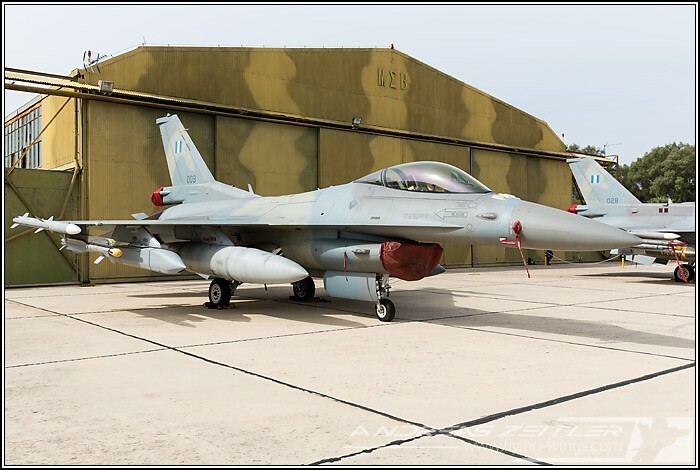 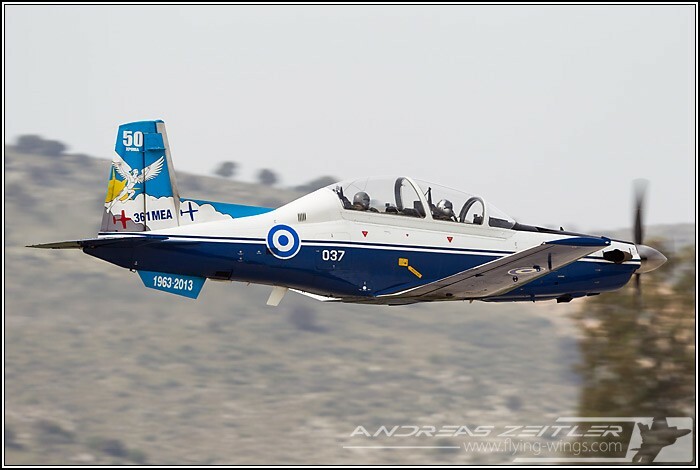 The aircraft joined 340 Mira and 345 Mira at the 115 Wing at Souda Bay, Crete and 347 Mira at Larissa as a successor to the F-84F. 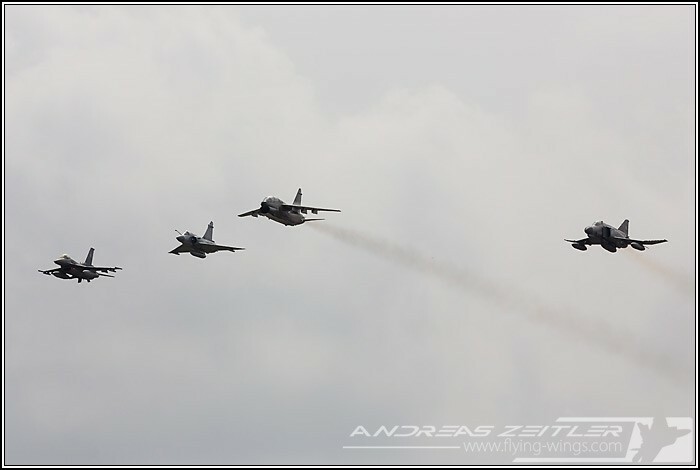 In 1993 the A-7 Corsair fleet was supplemented by 62 A-7E and TA-7Cs from surplus US stocks after the first Gulf War. 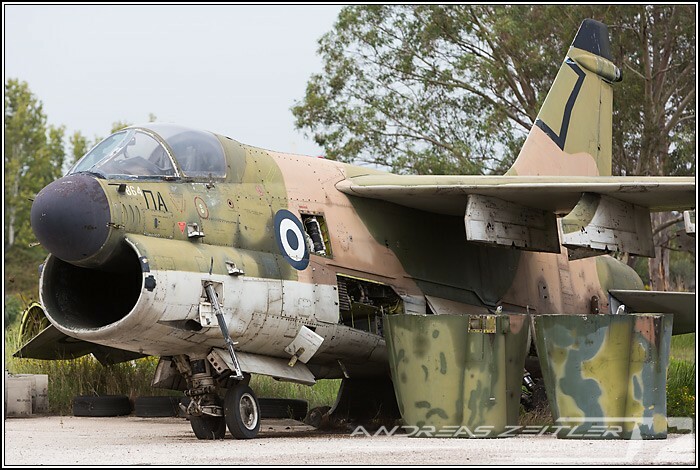 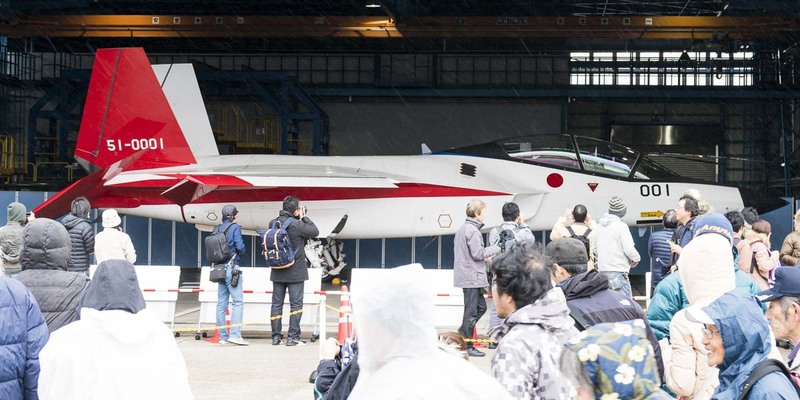 This somehow already drew an end to the A-7H, which nevertheless remained in service until March 2007, when all the surviving airframes were put into storage at Arxos and only the A-7Es continued to operate with 335 and 336 Mira. 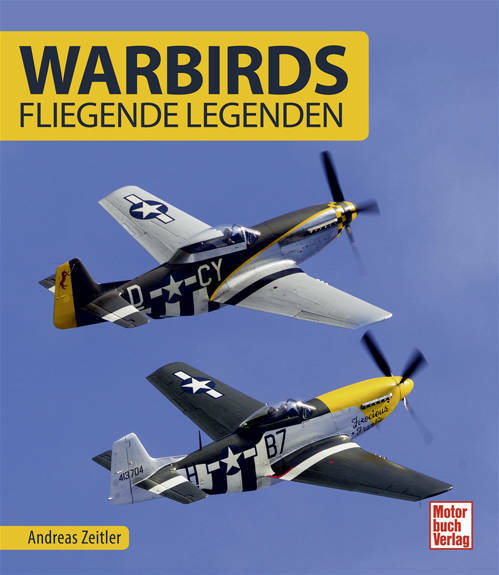 Though their age could not be denied in the late days of their career, the Corsairs were highly appreciated by the pilots for their great range and heavy weapons load until the very end! 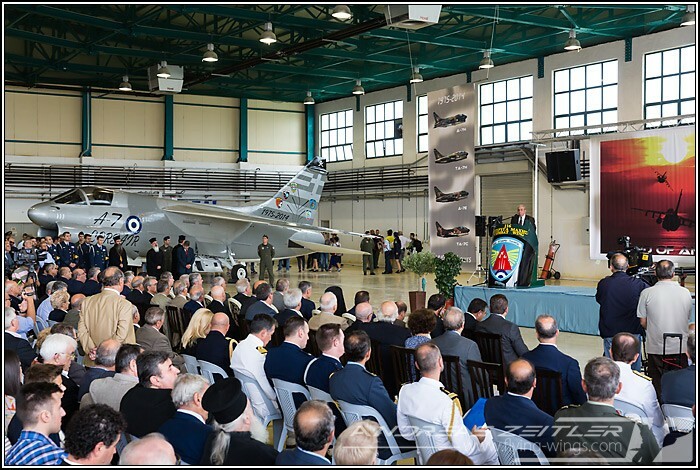 During the HAF A-7 Retirement Ceremony on Friday, October 17th 2014apart from speeches and commemoration a specially painted A-7 Corsair II was revealed. 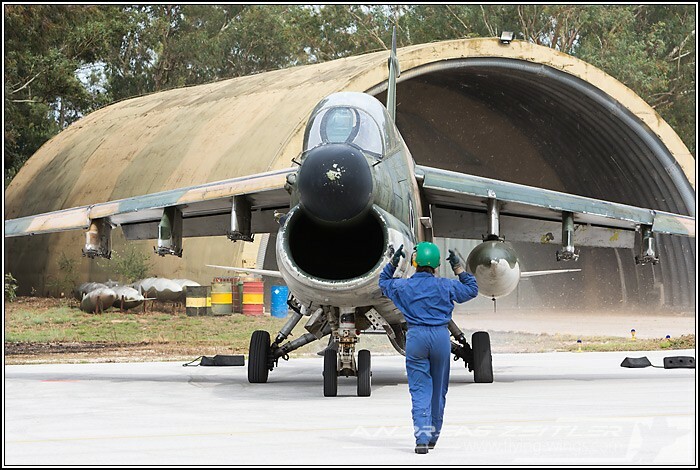 It was applied on an A-7E (159648) that has already been put of service and will in the future most probably serve as a gate guard or remember the HAF LTV A-7 Corsair in a museum. 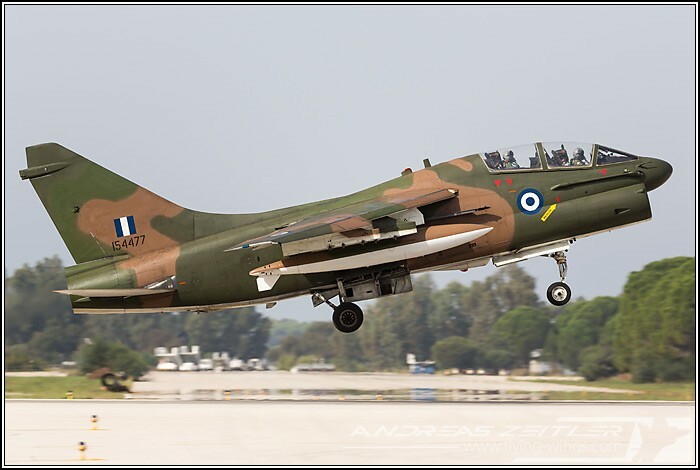 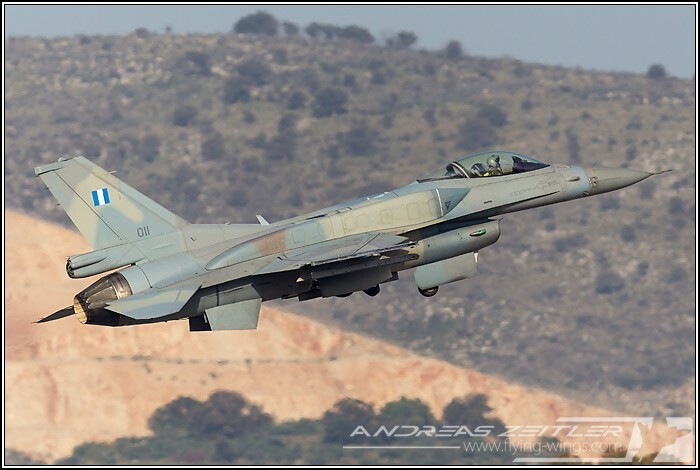 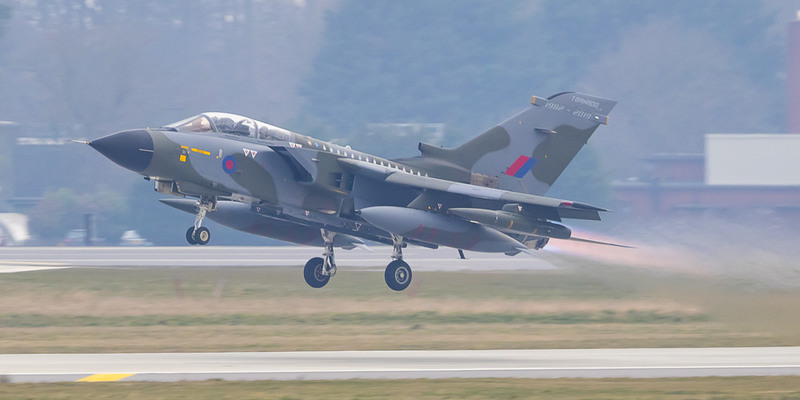 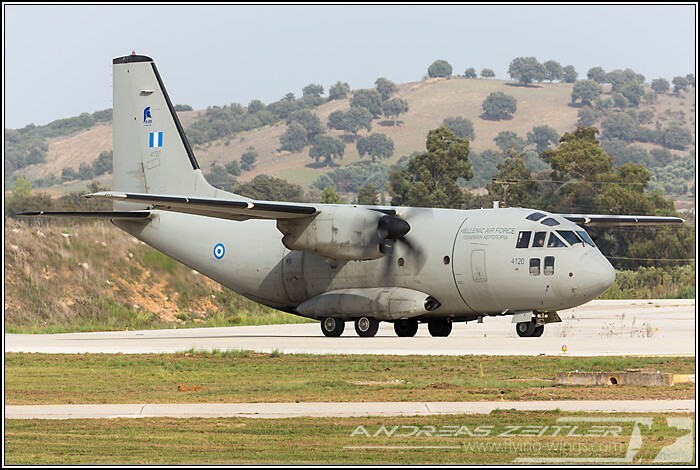 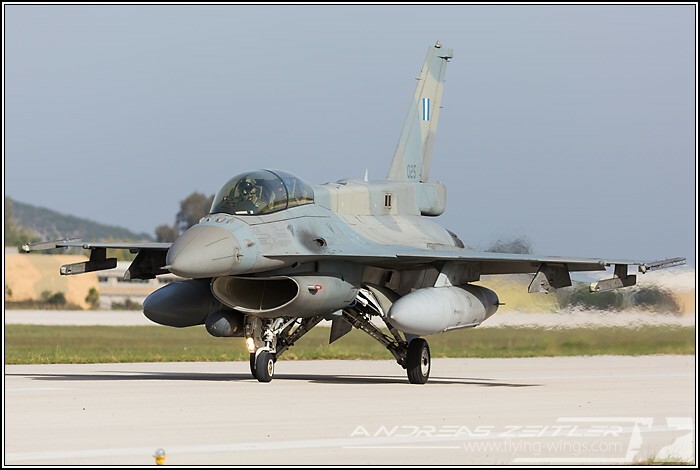 The basic layout of the scheme was a two-tone gray camouflage with a silver shine featuring the Hellenic flag on the tail including all the 5 patches of Squadrons that operated the A-7s from 1975-2014. 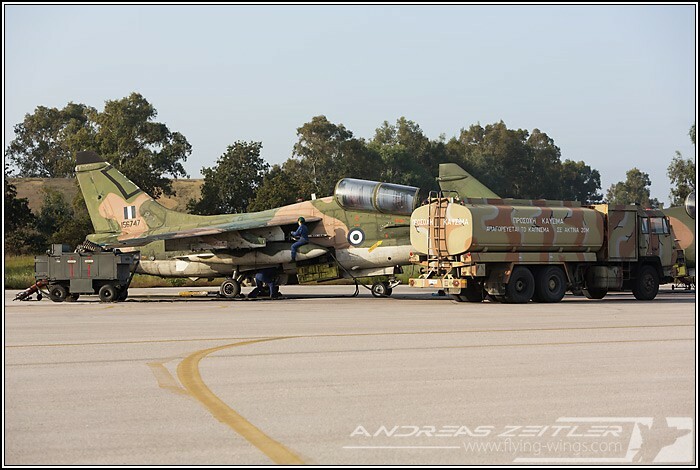 Around the airfield apart from the special colored A-7 an armed to the teeth A-7E could be seen as well as an A-7H, the special colored “Fly low, hit hard” A-7 (160616) of 336 Squadron / Mira "Olympos" and two armed Lockheed-Martin F-16 Bl.52 Fighting Falcons, the successor of the Corsair at Araxos. 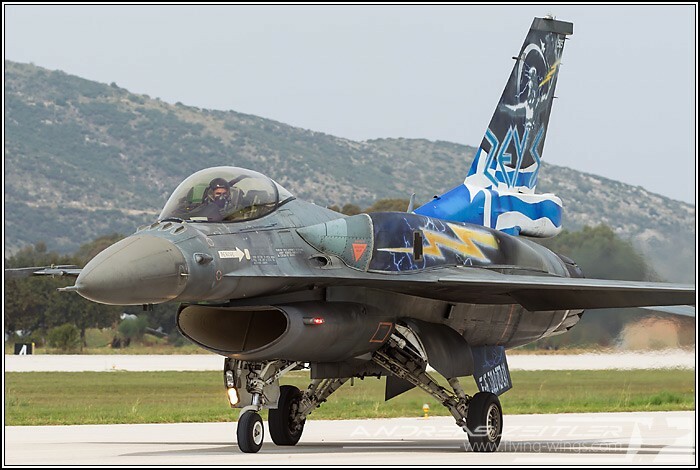 Thank you HAF and the 116 Combat Wing at Araxos for giving the possibility to witness the last operational Corsairs in the world! 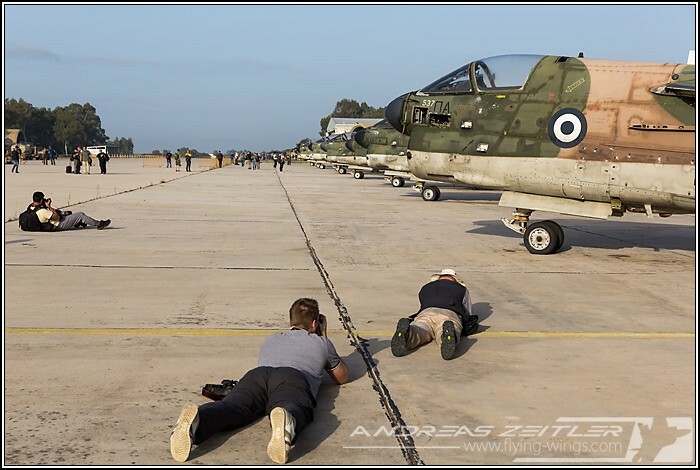 Especially for the “Spotters Day” the day before the actual event. 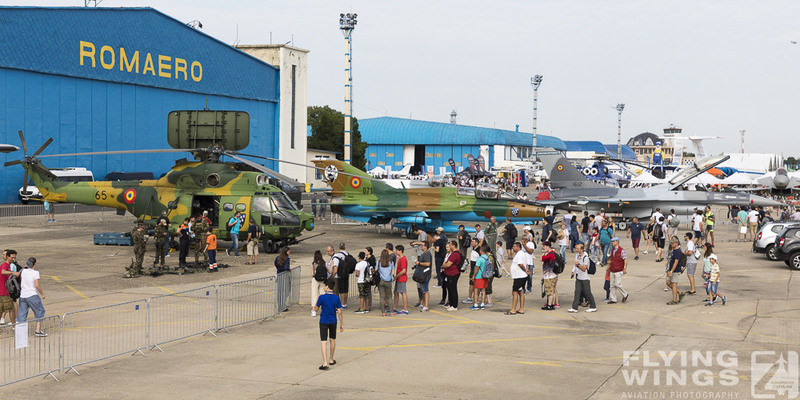 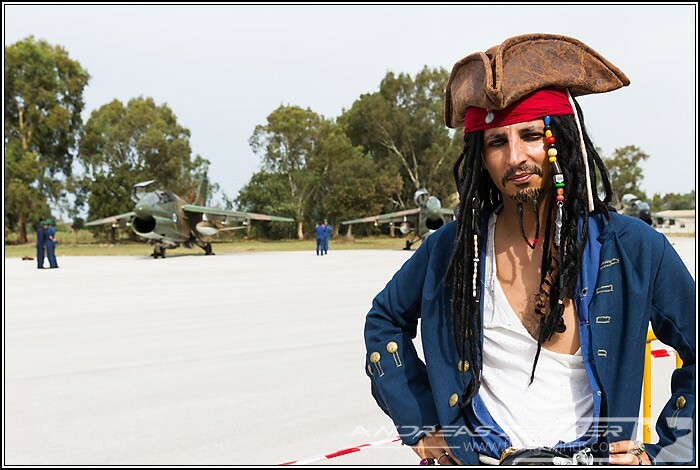 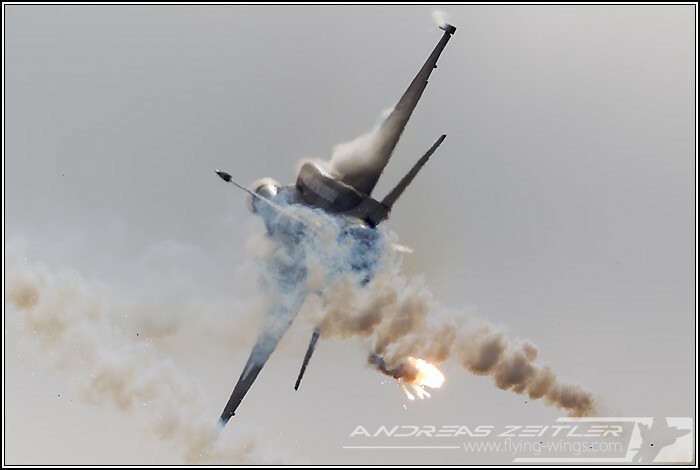 This event was very well laid out with many different photo possibilities, a canteen selling good coffee and sandwiches, a souvenir stand selling numerous patches, T-Shirts, giveaways and – most important - it gave a last chance to be close to the action and get some nice shots all along the operational area and the taxiway and runway. 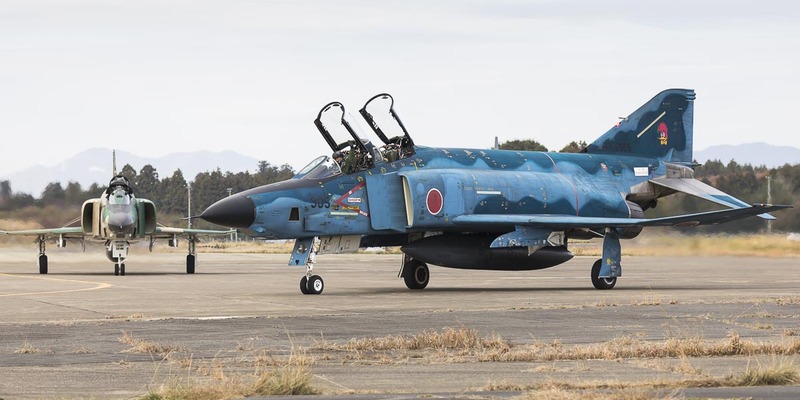 Two flights of A-7s were scheduled for the day, with some F-16s filling up the gaps in-between. 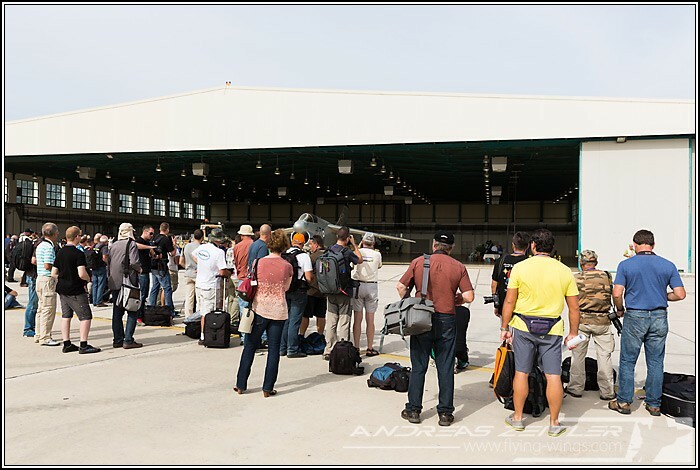 The possibility to also view and visit the ramp with parked and retired A-7 Corsairs made up to see a total of around 60 Corsairs at Araxos, of which however only around a dozen are still airworthy and will continue to fly until the end of October 2014. 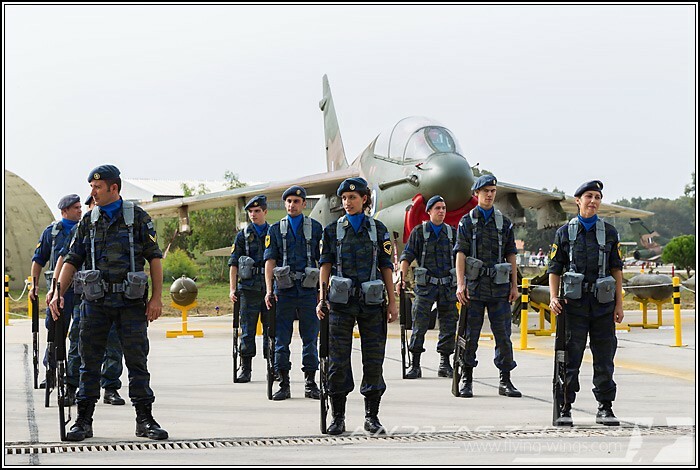 For sure this timeframe will see many “Last Flights” and many sad faces.